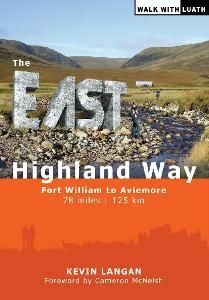 Fort William to Aviemore: 78 miles (125km) of Scotland's unspoilt Highland wilderness described in the first and only guide to the East Highland Way.A highly detailed walking guide to an all new long distance route through the stunning Scottish Highlands. Stunning photography and in-depth maps complement clear and descriptive prose. A comprehensive route description is supplemented by sections on wildlife and historical attractions. A must read for anyone who has walked the West Highland Way (around 50,000 people walk parts of it every year) and any one else with an interest in walking, historical landmarks, wildlife and Scotland in general!